Here is the latest film by the makers of “Sahibzadey” which tells the story of Banda Singh Bahadhur. You can watch a short video trailer above or visit their website for more information. The movie is in Punjabi with English sub-titles. I’ll let you know how it is when I get a copy. Tight. I have “Sahibzadey” and that movie is pretty cool but this is action packed so it will be a good animation. I cant watch it around Jessica because she feels too much for the young sons of the Guru and cant stand how they were killed for being Sikhs. A few main points by Dr. Sukhdial Singh in Sikh Review (March & April 2006) about Baba Banda Singh Bahadur. He was A True, Faithful to SRI GURU GRANTH SAHIB JI , Brave But Humble Warrior. Thanks to Bhai Sahib and other researchers write and updated the True History of Sikhs. Same go to the producer of this animated film & others who made an effort to produce religious feature & animated films. At least our young kids will see & learn about our history from them, instead of watching other type of cartoons. Lastly to Mr. SikhNeT – news and updates of Films, Kirten and etcâ€¦ to the rest of the world . My many many thank to you all for your dedications. It is things like these that keep making the community better and stronger. I will definitely buy the movie! Thanks to the movie makers. One question- would they be showing in Yuba City festival that is coming like they did with “Sahibzadeh” last year and are you going to be visit us this time too? Also, I want to say that thank you again for what you are doing thru Sikhnet. I just hope you have back up of everything, because I don’t know what we would do if Sikhnet ever crashes on us and we can’t log on to this cyber sangat. I know sometimes things get out of hand with all the negativity out there, but overall Sikhnet is just the greatest thing that has happened to bring our community together, learn from each other and grow as Sikhs. There are other Sikh websites, chat rooms, news sites etc. but I like how you keep things more in chardi kala and positive and don’t get bogged down with all of the other junk within and outside of our community. Thanks again and Waheguru bless! Thank you SikhRus. I am unsure about film screening since these are probably organized by local sangats. I appreciate your thoughts on SikhNet. We do run backups of our servers, however nothing is bulletproof. There is always the risk of down time and loss of data. With the sangat’s financial support we can improve upon this to ensure no downtime and loss of data and continue to build new services. I won’t bother you with the technical points but we are doing the best we can within the financial boundaries we have. Hi, this is Bindy Bains, but i have a blog now LionChild Sikhi. Anyways, i’m very pleased with this recent efforts to bring sikhi past events on to the screen and video. i hope more films that deal with sikhi values and events are covered too. My only shortcome of thsi movie: no english! (to the best of my knowledge, judging by the trailer given). Bindy: About the film, I asked the producers and they said that they couldn’t find someone who had good pronunciation and spoke good English. I’m not sure how hard they looked…but I feel the same way that there really should be english. Subtitles only work if you know how to read. Since the movie is geared towards kids, you cannot assume they can read. I am from Vismaad; producers of these animated movies. Last year’s Yuba City showing was a nice experience. We may not make it there this year as movie completion was delayed and it was late for Yuba City organisers to plan our movie show. We shall still try to be there sometime later. As for English subtitles apart from finding the right kind of dubbing artists it was also matter of financials. 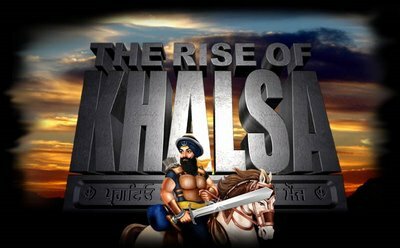 We always wanted to make “The Rise of Khalsa” bilingual but unfortunately could not do so. With Guru Sahib’s blesssings we will certainly have our next movie bilingual as some Gursikhs in North America have promised to help us in organsing dubbing artists. Dear Sangat Ji, VJKK VJKF. I appreciate the arguements for ENGLISH language. I have been brought up in England, Uk (and am fortunate enough to read and write Panjabi). I understand your arguements for ENGLISH LANGUAGE in these cartoons – although I disagree. When my young cousins watched Sahibzadey (they relatively LITTLE/NO Panjabi) i found them able to understand, in addition they felt inspired enough to want to learn MORE PANJABI – surely this can only be a good thing? Well the thing is that not all sikh youth are punjabi in background, and even somedon’t want to. I respect the producers explanation of the situation. However i don’t like to hear that we assume that all sikh youth are punjabi in background. I think that the animated movie of rise of the khalsa is a preety good way to tell people more about sikhism. this movie is also good for childern were as they get some thing new to learnt about. this movie has all back ground info about sikhism and their guru’s especially about the khalsa. i think that rise of the khalsa is a really good movie, and also they should continue making these kind of movies. Happy Children - Narayan and two of his friends, Utham and Sarabjot Kaur.